We're experts in Composite Door repairs! Whatever the fault with your Composite Doors; Glaze IT & Lock IT can do it! Door repairs including leaks, draught and frames not closing properly. 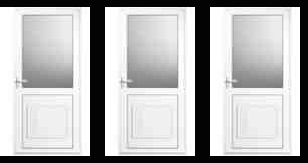 We can also repair/replace door fittings including hinges, handles, letterboxes, and can provide replacement locks and keys.